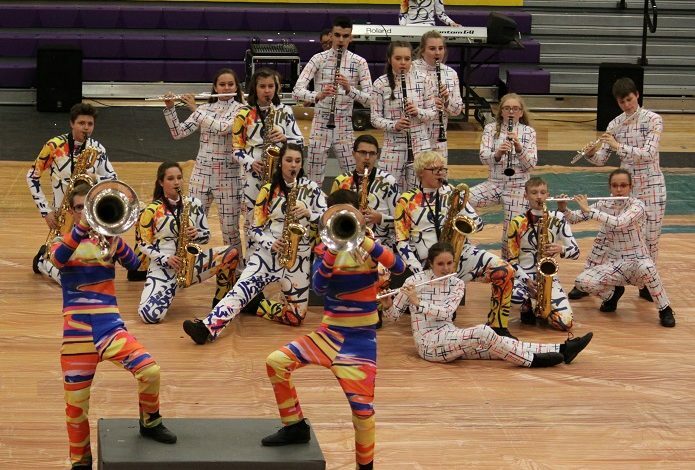 The Daviess County High School Indoor Winds Ensemble was named Independent Worlds Champion after capturing first place in an international competition. The competition was held on April 14th and featured 35 ensembles from across the nation and the world. DCHS won the competition with a score of 92.35 in the finals. The ensemble was made up of 39 students from the larger DCHS Band of Pride. Members of the DCHS indoor winds ensemble are Maggie Bacon, Eileen Brandon, Olivia Brown, Jacob Calloway, Brody Cecil, Chase Cecil, Isaiah Clouse, Luke Durbin, Luke Edmonds, Allie Fears, Dawson Gray, Emily Hancock, Chloe Jones, Avery Krahwinkel, Abby Lee, Brooklyn Maglinger, Abby McNabb, Austin Mills, J.T. Newkirk, Jacob Nugent, Luke Payne, Seth Payne, Sydney Peckinpaugh, Ben Robinson, Emma Sanchez, Emma Smith, Amelia Sosh, Brenton Stemple, David Stevens, Lauren Tadlock, Josh Tillis, Colleen Turner, Kaylee Vitato, Maggie Vooris, Ashley Wahler, Alexis Wilkerson, Xavier Wilson, William Wood and Trent Woolard. Indoor winds is a division of Winter Guard, which is an indoor version of a marching band.